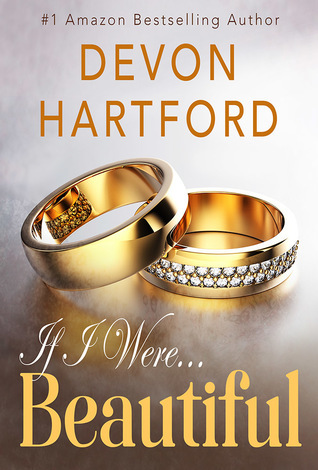 If I Were Beautfiul is a fun romantic romp chartering fresh territory. Jane lives in the shadow of her beautiful sister, Chelsea, until one day out walking due to the frustration and disappointment of finding that another man has used her to get to Chelsea, Jane ends up in a mansion and finds a ring. The ring transforms her, but Jane soon realizes that being beautiful has its pitfalls. Her new neighbor, Brodie, handsome, tatooed, defender of the weak, only likes the new improved version of her. Women are catty. Men fall over themselves to be attentive. The novel is fast-paced and funny with some truths related to body image and family tossed in for good measure. Jane as the narrator is amusing, frequently irreverent, and mouthy, which all works. I touched and squeezed every part of my body for twenty minutes before I convinced myself I really had transformed. Even my toes were pretty. I zoomed through the novel in one evening and then smacked into the novel’s failing: the dreaded cliffhanger. Unfortunately in this case, the cliffhanger overturned the truth that Jane had come to terms with, or which the reader believed Jane had come to terms with, so it wasn’t totally credible to me because it imparted probably unintended flightiness to Jane’s character. However, despite the cliffhanger, If I Were Beautfiul gave me several hours of laughter and escapism so I do recommend it to you just because of that, which is high praise considering how much I dislike cliffhangers. Thanks for hosting today, Sascha! This sounds like a funny and entertaining read!